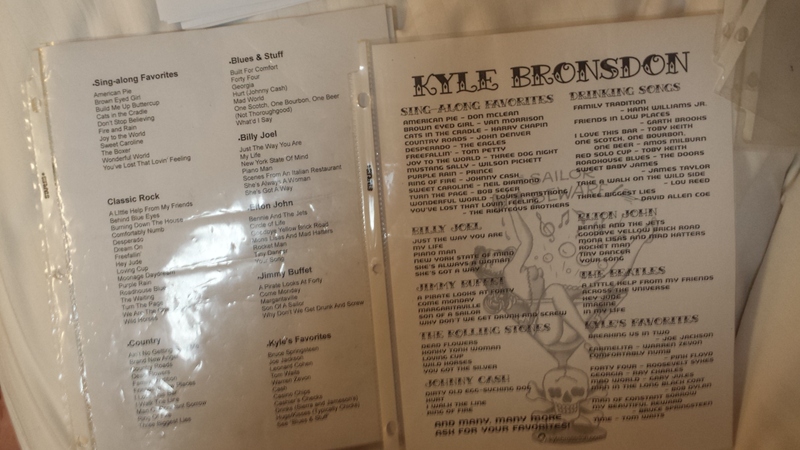 Kyle Bronsdon > Words > music > at sea > Professional. Fun. This is my “tasting menu” song list. Which looks more professional to you? Which looks more fun? Which one do you think I’ve been using for over a year on 3 different Carnival FUNships? Think you got it? Now which one do you think is probably not going to be approved by the office due to its depiction of, and I quote, “a girl in a martini glass”? This is why I never talk to “team members”. You still inspire me. Thank you! I’d love to work on something somehow someday again before we end. It’s for a piano bar. What’s the difference? It’s professional and fun.